As the season draws to a close and Easter holidays loom this felt like the right time to summarise another fantastic season at the Colts. 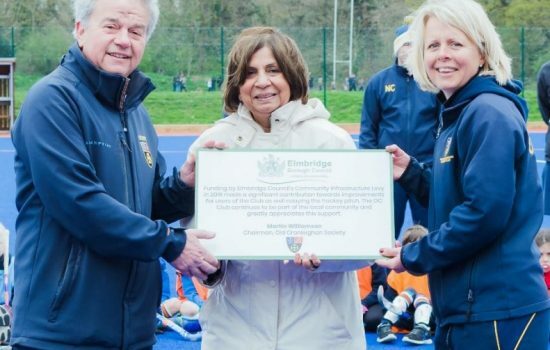 We were privileged to host the Lady Mayoress and three of our local councillors at the club on the last day of the season, taking the opportunity to thank them for their support and show them our wonderful new facilities and burgeoning junior section. I particularly enjoyed chatting to Janet, who was with us in her capacity as a councillor last week but previously visited us as Mayor some five years ago when our junior section was in its infancy. Our conversations certainly brought into sharp focus what a long way we have come in such a relatively short space of time. As an aside I was delighted to watch Hannah Garghouti pick up her 11-a-side U-11 player of the year award, remembering fondly days spent trying to entertain one of our then very young founder members! 500 members at age levels from school year 1 to 11. 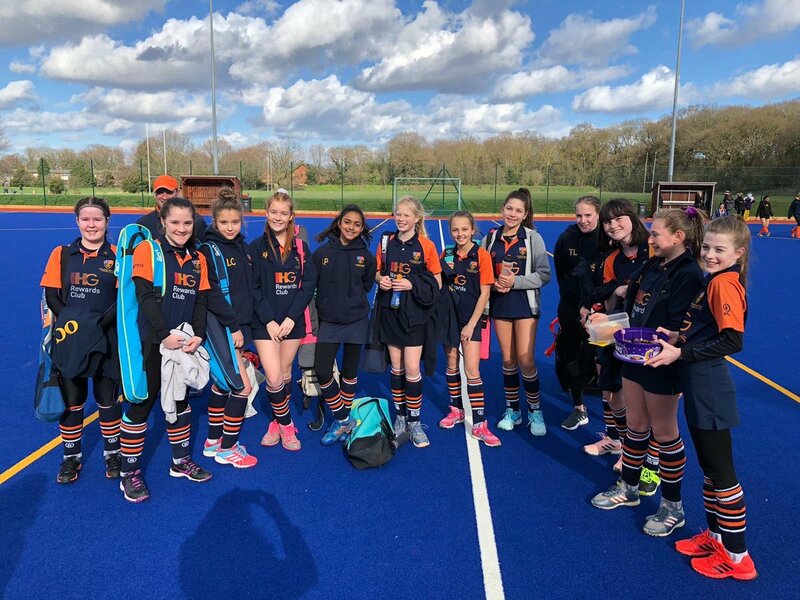 Many have already graduated to our senior teams and its great to have players representing us at county level at various age groups for both boys and girls. We do have a waiting list, a matter of some personal regret but strongly feel we are better to restrict numbers than let coaching quality or playing time and space suffer. 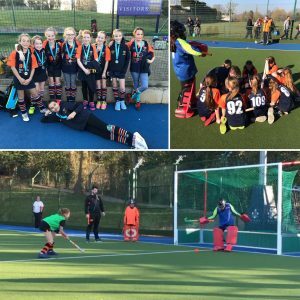 U10 Girls Surrey Cup runners up – now in the regionals the first weekend in May at Surbiton. Thanks too to Emma Lynn who runs our kit desk at the club for hours every week. It’s in no small part to her that we usually win the best dressed club award wherever we go! And last but not least, thanks to our wonderful Club Captain Helen. As if she doesn’t have enough to do, she has taken on a safeguarding supporting role and ‘chairs the chairman’ [I’m surprised she didn’t write this for me to be honest]. That’s more than enough looking back and patting ourselves on the back. 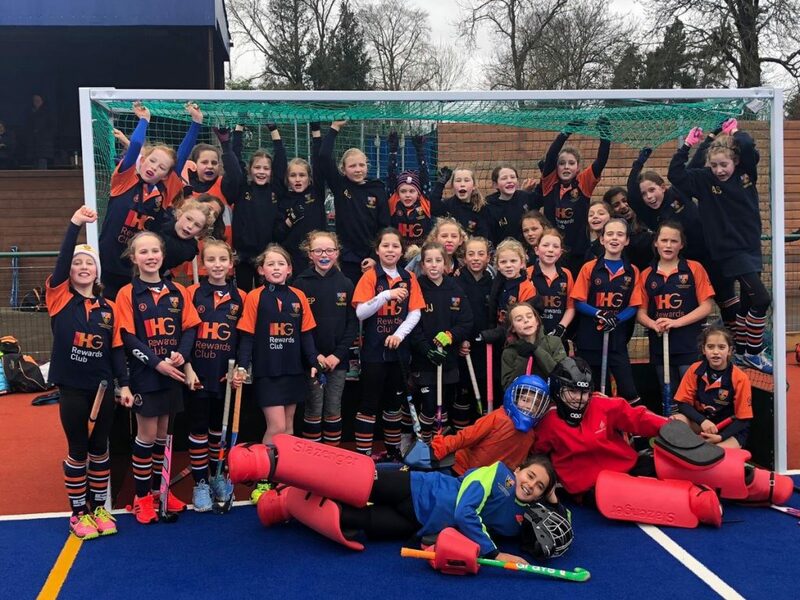 Next up, summer leagues with details to follow shortly, summer hockey camps, and of course preparations for next season Feedback always welcome, offers of sponsorship or to volunteer even more so! Thanks for reading all the way through. Here’s to a great season just gone and another great season to come.